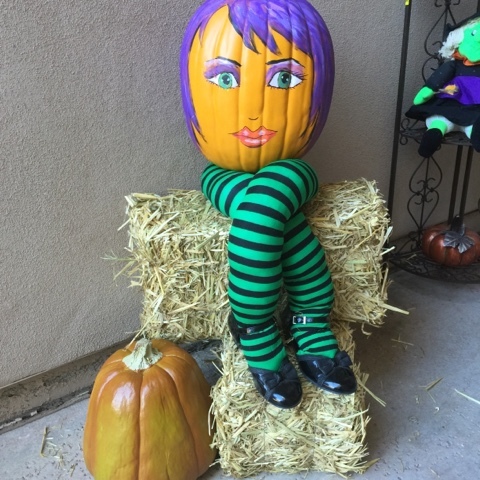 Several years ago, I bought a few plastic-foam-like pumpkins from Michael's. 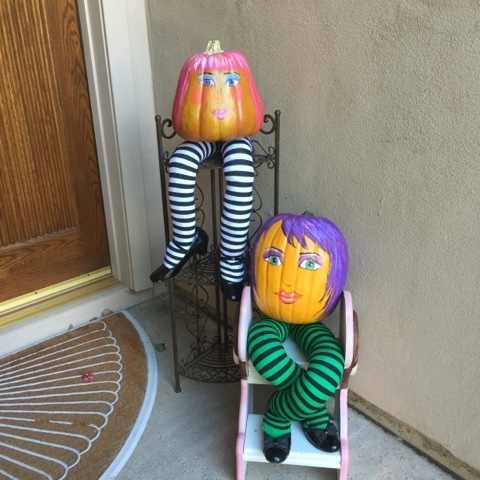 I've used them to decorate the porch area of the house for Halloween. This year, I decided to paint them. I had already done these earlier this week. I change them around too. 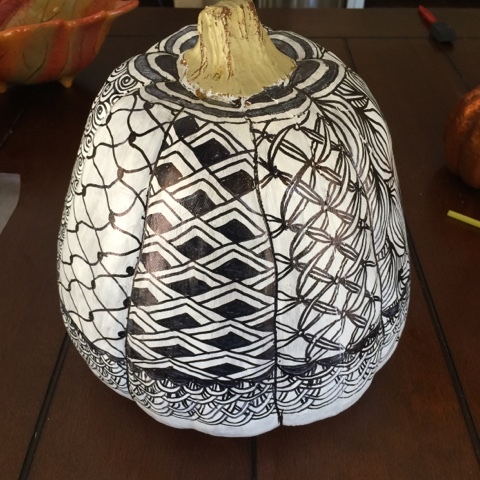 So I decided to tangle the other pumpkins I have. This took a lot longer than I thought it would. 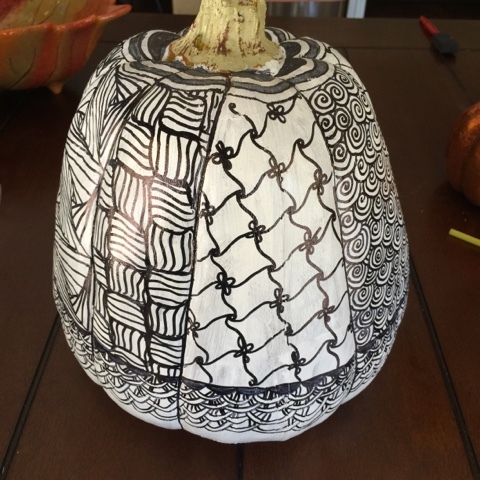 There is something so relaxing about drawing these zentangle patterns. I think it's the repetitive motion. 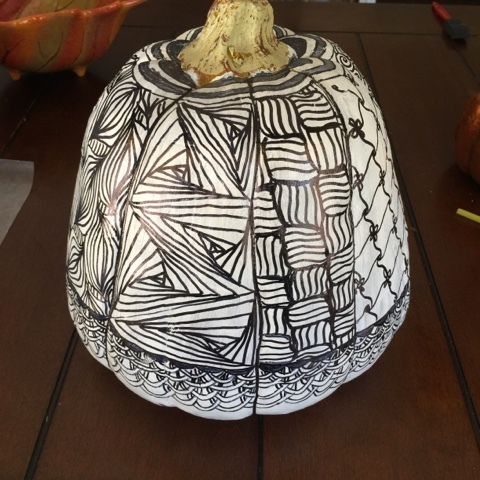 I have one more pumpkin so I think I will paint that black and tangle with my white sharpie! 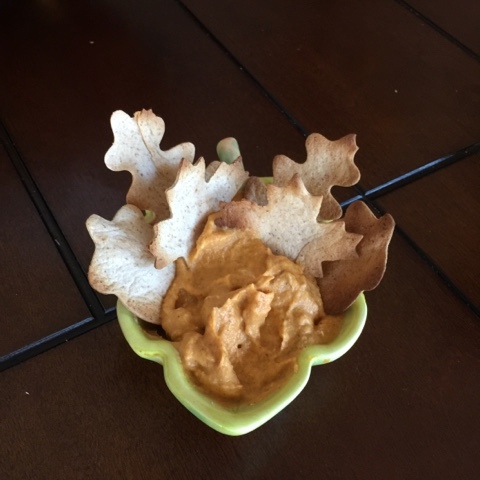 So yesterday, I wrote a bit about the leaf tortilla and the pumpkin dip. This morning, I had it for breakfast..
What a cute idea! Your tortilla leaves and pumpkin dip look delicious. Thanks, Ann Marie! I love Halloween mainly because I get to do lots of crafty things and make treats! Thanks for stopping by! !